Social media has a big role in the lives of children. During their impressionable years, they see a lot of different imagery, words, and actions played out on the screen, but what does that do to their perceptions of food and how does it affect their weight? Can celebrities actually encourage children to eat unhealthily? The answer is yes. 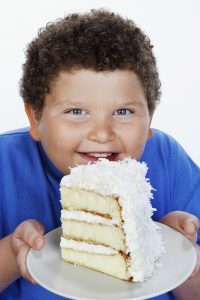 Admiration plus access can lead to unhealthy eating patterns in children. Let’s explore this some more. If a person’s body mass index, BMI, is over 30, they are n the obese range. 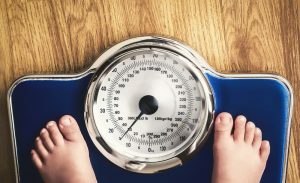 Estimates guess the figure is one billion people are obese across the globe, showing a doubling of obesity from 20 years ago, according to the World Health Organization (WHO). A UK study focused on UK’s obesity epidemic found that social media stars who consumed high-calorie foods did influence children. This prompted these children to then chose high-calorie snacks for themselves. This study focused on social media stars Zoella and Alfie Dyes. Like the United States, the United Kingdom is plagued by an extreme obesity epidemic. The organization for economic co-operation and development named the United Kingdom the most obese nation in all of Western Europe, in 2017. Now, that’s a title you don’t want. 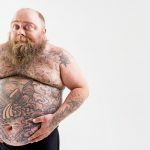 There are many factors that go into a nation’s epidemic of obesity, but turns out, social media is part of the problem. The study gathered 76 children and split them into three separate groups, and then showed them images from social media. The first group received images of celebrities eating unhealthy food, the second group was shown celebrities eating healthy food, while the third group was shown celebrities with non-food items. As mentioned before, these images were of Zoella and her boyfriend, Alfie Dyes, who have large followings. After seeing the images, the children were offered a variety of snacks, both healthy and unhealthy, including carrot sticks, chocolate buttons, grapes, and jelly candy, according to the Independent. The group of children who had seen the social media stars eating unhealthy snacks ate, on average, 448 calories while the other two groups ate 357 calories. These images of people the children admired boosted a 26 percent difference in caloric intake. This study began with the knowledge that children are influenced by ads, such as drink commercials. After seeing that drink on television they were more likely to consume that beverage and requested it more, but this study showed that social media stars and images can greatly influence children’s decisions. After concluding this study, the researchers wanted to see if the children would understand that these celebrities are paid to promote products, whether healthy or not. So, the researchers showed the children a variety of images, one being Dyes throwing tiny containers of Nutella in the air. The results will be interesting. Following the release of the study, Professor Russel Viner, the president of the Royal College of Pediatrics and Child Health, contacted the government to request they consider regulations on advertisements that are aimed toward children, both online and on television. He noted this may assist the childhood obesity strategy and help children make better decisions because they are exposed to better role models. SO, HOW CAN SOCIAL MEDIA HELP THE OBESITY EPIDEMIC? 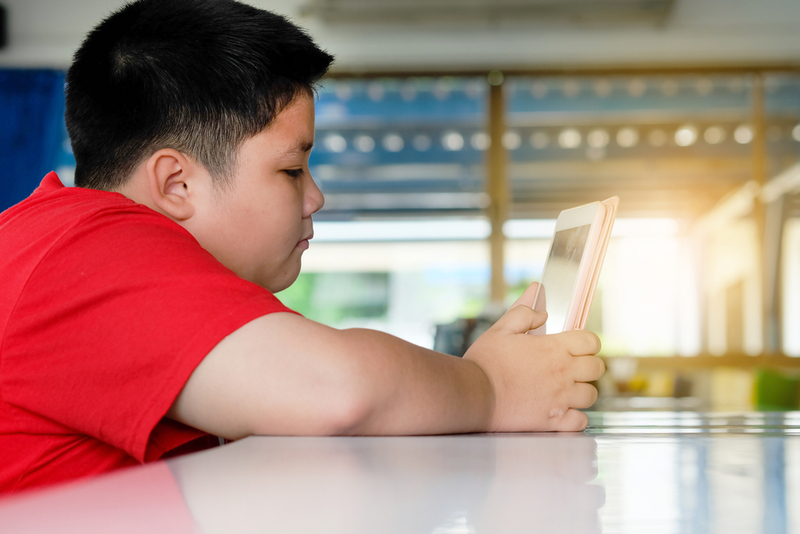 In the United States, the American Heart Association showed many of the ways social media can lower levels of obesity among children. Social media brings people together from all walks of life and this can be used positively and negatively. Athletes train with other athletes and overweight children tend to hang with other overweight children. This can reinforce bad eating and recreational behaviors, leading to a cycle of unhealthy eating and living. Often, if one person makes healthy changes to their lifestyle, this will inspire others to do the same. There are many apps available that track your caloric intake and exercise regimen. They allow you to get feedback and encouragement from your friends in real-time, so you can keep going. Making and keeping goals can be highly socially motivating because it provides a partner in accountability and also results in the phenomenon called “social proof”. This phenomenon helps people keep goals because most people want their friends or someone they admire to see them committing to their goals. This want keeps them on track. As they stay on track and continue seeing improvements, their intrinsic desire to strengthens and they build habits. Obesity, especially in the United States, is a large problem. Even more so than the United Kingdom, the United States may be the fattest country on the planet. Targeting children’s habits is very important because obesity can reduce lifespan by 27 years and this doesn’t have to be a child or adults’ reality. With healthier eating habits, buddies to support, these children can spend those 27 years contributing to themselves, their families, and their communities. WHAT ARE THE NUMBERS ON OBESITY BY COUNTRY? Obesity is a big problem for any nation, but some countries are leading the pack in this race that no one will win. But, which countries are these? Surprisingly, according to the most recent numbers, as of 2018, the richest or most developed countries, like the United States and the United Kingdom, do not top this list. The United States is ranked 12th while the United Kingdom is ranked 36th. Smaller countries top the list. In the top 10 are Kuwait, Samoa, Palau, Marshall Islands, and Nauru. According to the World Health Organization, this may be due to food scarcity. Because there is less diversity available in these countries, the people fill up on empty calories that are present in junk or friends foods. A paradox, if you’ve ever seen one. In North America, Mexico and the United States continuously swap spots for number 1. As mentioned before, the obesity rates in these countries are more often due to a lack of food rather than a tendency to overindulge. As obesity lowers the lifespan, it must be remedied.